The European banks are closed today and therefore we did not open any new trades today. We did attempt to trade the USDCAD on the news releases but the price did not move much. We are still holding our short position in GBPUSD. 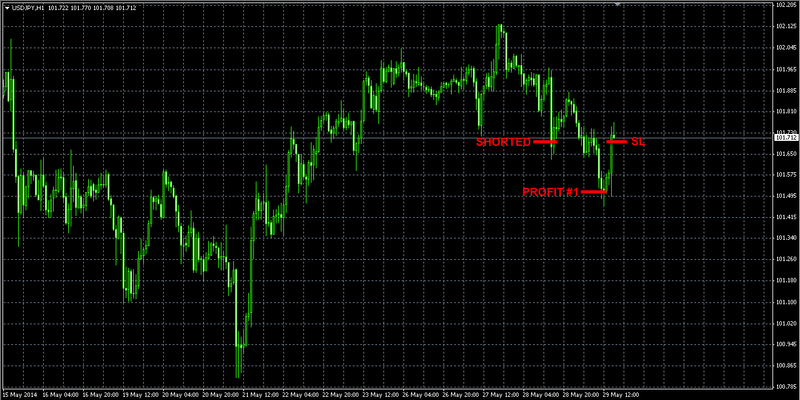 The GBPUSD trade from Monday has reached its second profit target today bringing +56 pips more to the total profit. We are still short the pair with one more unit. 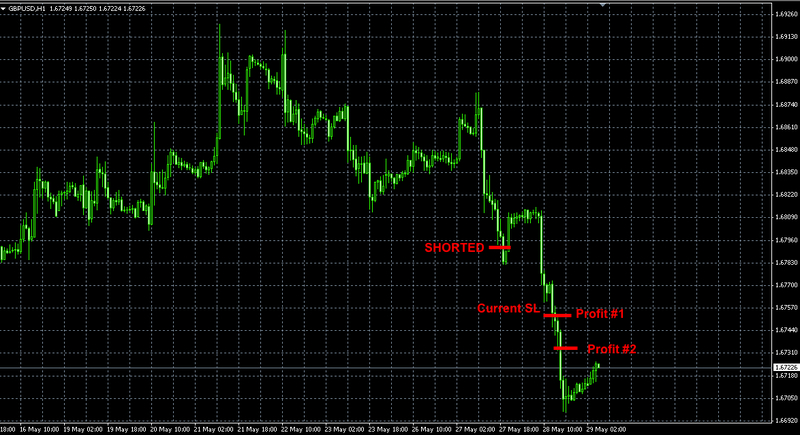 The current stop-loss is at 1.6751 (see the chart below). There is no clear direction to the market and therefore there are no orders. 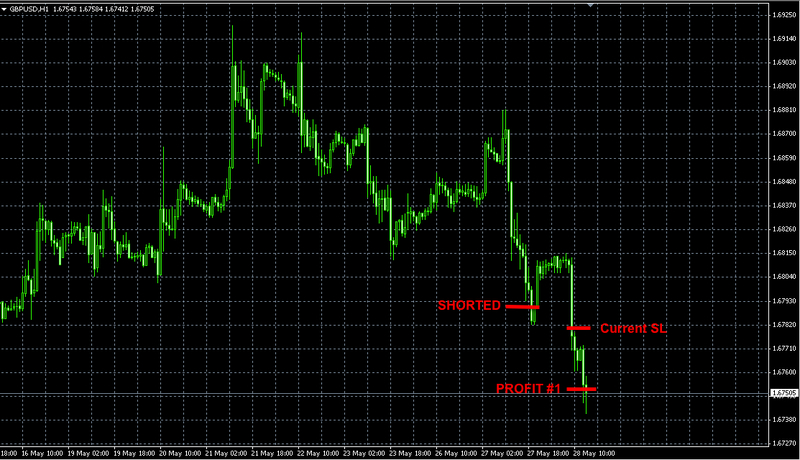 As the long weekend was coming, the trade has been closed at 1.0865 for a total profit of 45 pips (see the chart below). The signals issued today were not triggered. Technically, the EURJPY trade was not triggered but at some brokerages this trade was filled and resulted in a loss. The NZDUSD trade did not go far enough and was closed at break even. 3. 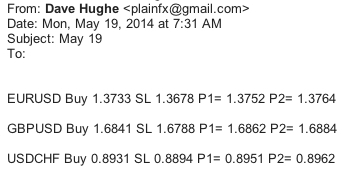 USDCAD missed the profit target #1 by 3 pips. We are holding it overnight. I am placing this order for tonight only and, if not filled, I will cancel it before going to bed. The EURUSD and GBPUSD orders were filled. The USDCHF trade had been cancelled later on. The prices did not change during the day, therefore both these trades were carried over the night.